Water Heaters: How Old Is Too Old? 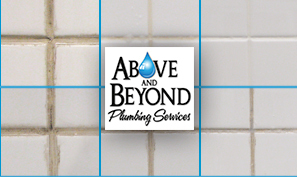 At Above & Beyond Plumbing Services, we not only want to improve our customers’ plumbing, we want to improve their knowledge of plumbing as well. If you’ve been calling a Keller, TX plumber often to service your water heater, it might be time to think about investing in a new one. Before you do, we’re here to give you a better idea of how long water heaters are designed to last. The first thing you should consider is the type of water heater you have. Electric water heaters often last as many as 15 years while gas ones can last as long as 10 years. That being said, you have to make sure you take good care of your water heater, otherwise you could find yourself seeking out the services of a Grapevine, TX plumber more than necessary or buying a new heater sooner than necessary. To keep from having to call a professional Southlake, TX plumber for avoidable leaks and floods, you should be sure you replace your water tank if you ever notice it’s started to corrode. It’s also a good idea to have the tank flushed at least once a year to get rid of sediment. There are several factors that can compromise the overall life of your water heater. The appliance’s quality, maintenance schedule and the type of water in your pipes all have a part to play in how long your water heater is likely to last. A knowledgeable Trophy Club, TX plumber can offer you more tips for efficiently extending the life of your water heater. By taking good care of your heater, you’re sure to have several hot baths, showers, laundry loads and dish washes for many years to come. To get additional help, call Above and Beyond Plumbing Services at 469-995-5069, or schedule service online. There are some modern conveniences we often take for granted until they no longer work, such as the toilet. Before you call up a Keller TX plumber the next time your toilet doesn’t seem to be flushing properly or flushes by itself, try taking care of it on your own. The DIY method can save you time, money and give you a sense of empowerment. For those times when you’re spending more time in the bathroom because the toilet won’t flush completely, the problem could be that the chain underneath the lid that’s connected to the flapper cap is too long. Shorten it by hooking another link of the chain. If that doesn’t work, a Grapevine TX plumber can tell you that the source of the problem might be that there isn’t enough water filling up the tank. The lower the water level, the weaker the flush. Not only is a toilet that flushes itself jarring when it happens unexpectedly, it can also be causing your water bill to go up. Take a look at your flapper valve to make sure it’s not worn out, before you call up a Southlake TX plumber. You can easily find a new valve at a hardware store, but make sure you take the old one with you to get the right size. Rather than an old flapper valve, the problem with a toilet that doesn’t stop running might be that the valve simply isn’t sealing as it should. Check to see that the valve isn’t being blocked from closing normally. Look at the seat underneath the valve to see if there aren’t any mineral deposits. Before you call a plumber if the valve is okay, see if the pull chain is too short. Do yourself and your bank account a favor and learn a few tips and tricks for repairing your toilet on your own. Reserve the expertise of a Trophy Club TX plumber for true emergencies that require immediate and professional intervention by calling Above and Beyond Plumbing Services at 469-995-5069, or schedule service online. Depending on your POV, you might consider the garbage disposal to be one of the finest and most convenient inventions ever created. While your garbage disposal can handle a lot, there are some things you’ll want to avoid putting down them, or else you might find yourself in need of a knowledgeable Keller TX plumber. Fat, grease and oil are three of the most common no-nos when it comes to garbage disposals, but they still deserve a spot on the list. While hot grease, oil and fat have a very fluid consistency when hot, they thicken and harden when cooled, which is exactly what happens when you pour them down your garbage disposal. Another reason to avoid pouring these substances down your disposal is that doing so isn’t the most environmentally-friendly disposal method, which any Grapevine TX plumber can tell you. Like rice, pasta expands in water, and it expands even more when you dump it down the garbage disposal. If any strings of pasta become stuck in your disposal, they can keep expanding every time they’re exposed to water. Even if the pasta doesn’t expand, it can still become lodged in your disposal trap. A Southlake TX plumber can also tell you that potato peels, celery, asparagus, lettuce and other fibrous and starchy vegetables have no place in the garbage disposal. These foods can easily wrap themselves around the blades of your disposal and clog up your drain. The grounds from all of those cups of coffee you’ve enjoyed seem harmless and garbage disposal-safe, right? Don’t find out the hard way that coffee grounds can easily become stuck in your disposal trap along with your pasta. You might love the way fruit tastes, but you’ll probably hate the damage their pits and seeds can do to your garbage disposal. Examples include avocado, plum, peach and cherry pits. Take good care of your garbage disposal and it’s bound to take good care of you and most of your disposal needs. For those times when your favorite invention betrays you, be sure to call an experienced Trophy Club TX plumber at 469-995-5069, or schedule service online. Hard water is a common nuisance that occurs when excessive minerals build up in a home’s water supply. Beyond plumbing problems, hard water can also wreak havoc on your health. While a trusted Keller, TX plumber or Grapevine, TX plumber is always on hand to tackle hard water problems, there are a number of things homeowners can do themselves to try to solve the problem first. Here are three tips you can do at home to soften your water supply. If you suspect you may have hard water, the first step toward fixing it is determining what kinds of minerals are present. There are many commercial test kits available for this, or you can try the old fashioned way using soap. Pay attention to the amount of soap it takes to work up a good lather. If you find yourself using a lot, your water is likely hard. Fastening filters to kitchen and bathroom sink faucets to soften water that passes through the nozzle. While some systems can be installed without professional aid, it’s often best to consult your local Trophy Club, TX plumber before attempting to do it yourself. If you don’t feel comfortable identifying or installing the right softening system for your home or continue to have problems with hard water, give Above & Beyond Plumbing Services a call today at 469-995-5069, or schedule service online. The recommended level for humidity inside your home ranges between 30 and 45%, however there are a number of factors that can upset that balance. When humidity levels are too low or too high, they can cause a lot more trouble than structural concerns. In fact, they can be downright hazardous to your health. Here are a few things to watch out for as well as tips on how to control the humidity in your home. The first step toward taking control of humidity is measuring it. This can be done simply with a hygrometer, which looks similar to a thermometer. Your local Keller, TX plumber or Grapevine, TX plumber can easily install and help you read a hygrometer. It can also lead to problems like staining on ceilings and walls and peeling on paint and wallpaper. There are several ways to reduce humidity, but the easiest is to use a dehumidifier. When using a dehumidifier, be sure to empty its water regularly. You can also install exhaust fans in tight areas to reduce humidity, but this tends to be more expensive. When the air in your home becomes too dry, it’s usually residents who suffer the most. Dry air can lead to skin irritation, sore throat, cracked fingertips, and an increased likelihood of contracting a cold. Additionally, extremely dry air can create cracks and warps in wood flooring, damage to wood and drywall, and excessive static electricity. Low humidity is a common problem in the winter or areas of cold climates, because colder air doesn’t hold water vapor as well. Fortunately, it’s usually easy to raise humidity levels. Simply add a humidifier that works best for the square footage in your home or room and be sure to clean and change the filter as needed. These are just some of the tricks you can try to beat humidity problems before you call your trusted Southlake, TX plumber or Trophy Club, TX plumber. For more information, call Above & Beyond Plumbing Services today at 469-995-5069 today or schedule service online. For most homeowners, the toilet receives little attention until something goes wrong. When problems do arise, however, immediate attention is needed, or you’re looking at some costly repairs that can only be performed by a Keller TX plumber. Most major toilet problems are largely preventable, so to avoid both the inconvenience and unhygienic conditions that come with a malfunctioning toilet, make sure to perform proper maintenance and take adequate precautions. Here’s what your local Grapevine TX plumber recommends in order to keep your toilet in tip-top shape. Not only is keeping your toilet clean important in terms of sanitation, but it also helps you easily spot leaks or damages. Use a bleach-based solution to sanitize the bowl, seat, lid and handle, and use a brush with soft bristles because rough ones can lead to scratches or chips. Keep an eye on the floor around the toilet while you clean for any signs of a leak, because prompt attention to leaks leads to a less intensive repair process. You can also spot leaks by placing a few drops of food coloring in the bowl and then leaving it for several hours. If you return and the color is gone, a leak is present. Toilets and water pipes are intended to handle human waste and toilet paper, and not a whole lot more. When items such as sanitary products, napkins, paper towels and even small toys find their way to your toilet, they cause obstructions, which can create a blockage that makes your toilet overflow. Make sure to use it only for its intended purpose, and instruct any children living with you to do the same. Like the toilet, you probably don’t spend a lot of time thinking about your toilet tank. Make sure never to place pressure on it by standing or sitting on it, and make sure not to drop any cleaning products in the tank, either. Some cleaning products and chemicals can affect your flush flapper, which can cause a leak. These tips and maintenance methods should help you avoid most toilet issues, but if you do experience a problem that requires the assistance of a Southlake TX plumber or a Trophy Club TX plumber, call Above & Beyond Plumbing Services today at 469-995-5069 today or schedule service online. When your home bathroom reeks of mold or mildew, your guests will notice. Maybe they’ll be too polite to say anything, but you may find them running for the door before the night has officially ended. To avoid what can prove both embarrassing and highly unpleasant, here are some tips as to how to keep mold and mildew from wreaking havoc – and just reeking – in your bathroom as well as your social life, courtesy of your friendly Keller TX plumber. Getting rid of mold and mildew isn’t particularly difficult, but it does take a little effort and elbow grease. Grab a cleaner (vinegar or bleach often work) and a toothbrush, and get down and get scrubbing. Be sure to take any moldy or damp towels out of the bathroom too, and keep your shower curtain closed to make it sure it dries effectively. If you have a spot to do so, install some towel hooks somewhere outside, but close to, the bathroom. One easy way to reduce the formation of mold or mildew in your bathroom is to use a shower spray every time you shower. This will not only make your bathroom smell better, but it will help eliminate the formation of mold. Try lightly dusting your sink, bath and shower drains with baking soda too, because this helps eliminate odors and reduces the growth of mold. When you mix Texas humidity with steamy, hot showers, you get the perfect recipe for mold generation. Make sure to utilize built-in vents, if available, and try to improve circulation even further by using a fan and keeping the bathroom door open while showering. In extreme cases, your Grapevine TX plumber may recommend that you purchase a dehumidifier to use during showers moving forward. By keeping your bathroom clean and providing proper ventilation, you can dramatically reduce the amount of mold and mildew that grows in it. If you still need attention or would like to enlist the aid of a Southlake TX plumber, call Above & Beyond Plumbing Services, your friendly Trophy Club TX plumber, today at 469-995-5069 today or schedule service online. The professional plumbers of Above & Beyond Plumbing Services are not only here to make sure you have a Keller TX plumber you can depend on, we also want to help you sort fact from fiction when it comes to taking good care of your home’s plumbing. Check our list below before you add citrus peels or hand soap to your plumbing system. While you might not think you have to call a Grapevine TX plumber if items are going down the drain of your garbage disposal, you could still have a plumbing problem you can’t detect. The best way to tell whether or not your drain is clogged is to see if it’s draining slower than usual. There could also be bits of waste collecting in your waste pipe. If you’re ever in doubt, give us a call. Lemons and oranges smell great, but let them smell great somewhere other than in your garbage disposal. Chopping up citrus peels can cause the acid in them to damage the metal parts of your disposal, which can lead to unnecessary repairs later on. You can run hot water down your garbage disposal all you want while attempting to grind up those egg shells and banana peels, but you might find yourself calling a Southlake TX plumber afterwards to take care of that clog. It’s best that you think before putting anything down your disposal and that you break things up into smaller chunks before mixing them with water and sending them down the disposal. If you’re ever in doubt as to whether you should put something down the disposal, dispose of it the old fashioned way. Feel free to reach out to a reputable Trophy Club TX plumber from Above & Beyond Plumbing Services for more common and not-so-common plumbing myths. Or, you may contact us at 469-995-5069 today or schedule service online. At Above & Beyond Plumbing Services, we want the air you breathe inside of your home to be as clean as possible. While working on your furnace, a Keller TX plumber might recommend that you install a quality filter to help keep harmful particulates from cycling through the vents of your home or office space. Furnace filters are a small but vital part of furnace maintenance and improving your indoor air quality. Learn how to choose the right one to extend the life of your furnace and keep your lungs clear. A professional Southlake TX plumber can also inform you of the pros and cons of the different kinds of filters to help you narrow down your options. For instance, disposable fiberglass filters are some of the most affordable, but they don’t do a very good job of scrubbing particulates from the air. Disposable pleated filters are a good option for environmentally conscious homeowners, but they can make it a bit more expensive for you to operate your HVAC system since they increase air flow. While disposable electrostatic filters are ideal for residences with pets, children or smokers, they can be a little pricey for some. Permanent electrostatic filters are more efficient than pleated filters, but the price can be expensive if you require a custom-sized filter. To speak with a Trophy Club TX plumber from Above & Beyond Plumbing Services about the Maximum Efficiency Reporting Value (MERV) of a specific type of filter, or if you’d like tips for making your furnace more efficient, contact us at 469-995-5069 today or schedule service online. Just as you prepare differently before leaving the house on a winter’s day than you would for a warm one, your home requires additional attention and maintenance when the temperatures start to fall. While north Texas may not experience the same extreme temperature variations as, say, the North Pole, they are substantial enough that not taking adequate precautions can land you in a world of trouble. Here’s a look at how to get your home winter-ready this season, courtesy of Above & Beyond Plumbing Services, your local Keller TX plumber. When it’s chilly outside, you want to ensure your heater is operating at peak capacity both for your own comfort and the sake of your utility bills. A Grapevine TX plumber can help make sure that happens by giving it a thorough cleaning. Have a Southlake TX plumber test your sump pump by adding a few gallons of water to the sump pit before turning it on. This should be done every couple of months, but is particularly important when environmental conditions are especially wet or dry. You may have heard that your fans work best when they spin one way during warm weather and the opposite way when it’s cold. When the heat is on, make sure your fans are moving in a clockwise direction. If your gutters get clogged with dirt and leaves and then freeze, you’re going to be stuck with a serious problem, come springtime. A simple pre-winter cleaning can help you avoid having to replace the gutters, as well as your home’s trim, roofing and siding. If you’ve noticed that an area of your home is particularly drafty, a caulking gun can be used to fill any gaps or holes. Rather than “heat the outside,” lower your utility bills by making sure heat stays indoors. For more about how to make your home winter-ready or to enlist the assistance of a Trophy Club TX plumber, contact us at 469-995-5069 today or schedule service online.